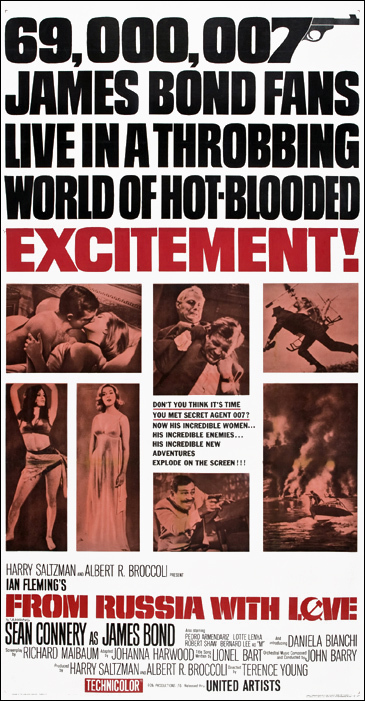 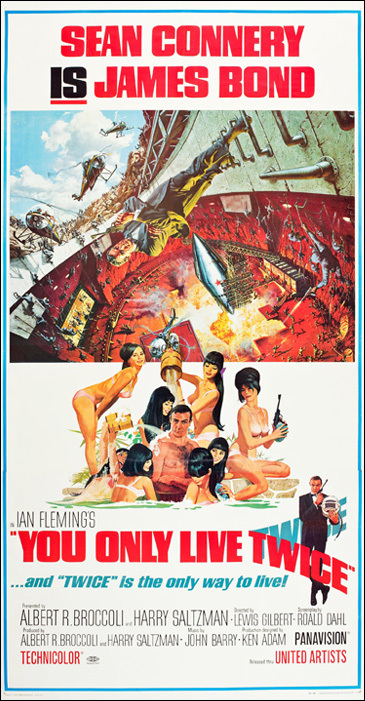 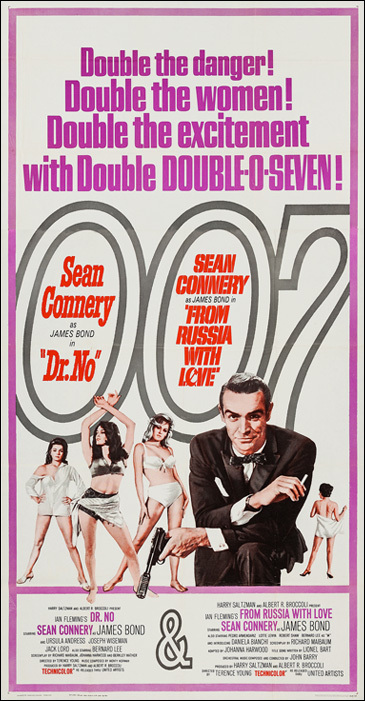 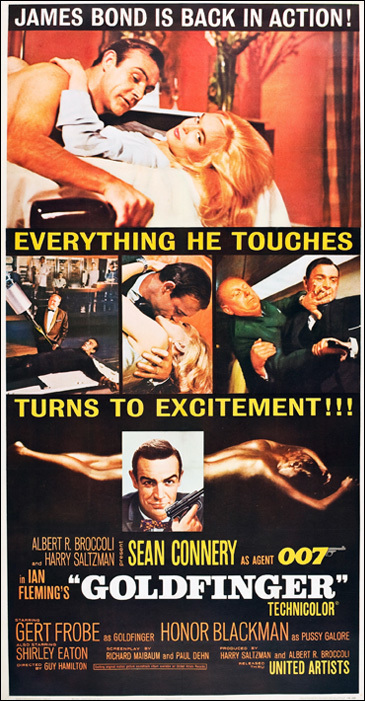 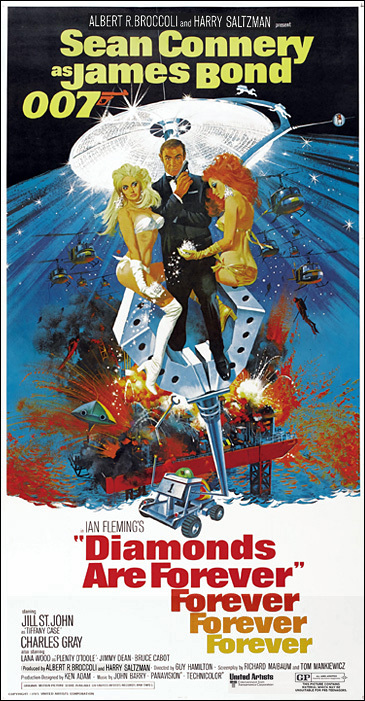 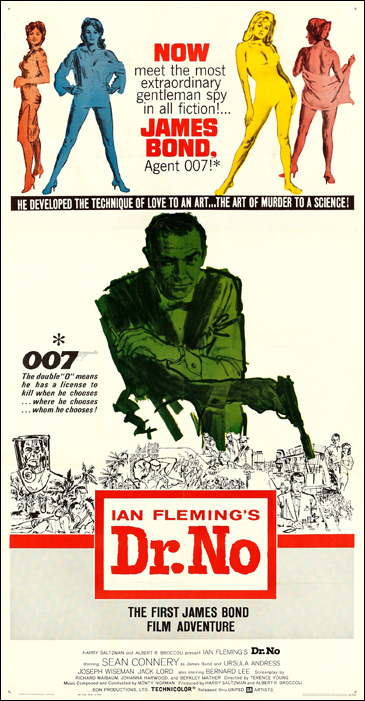 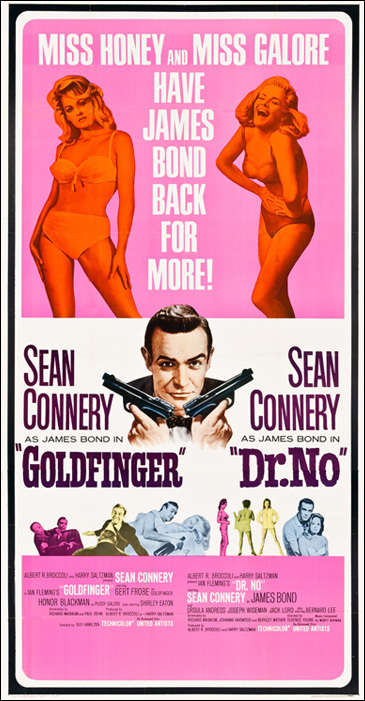 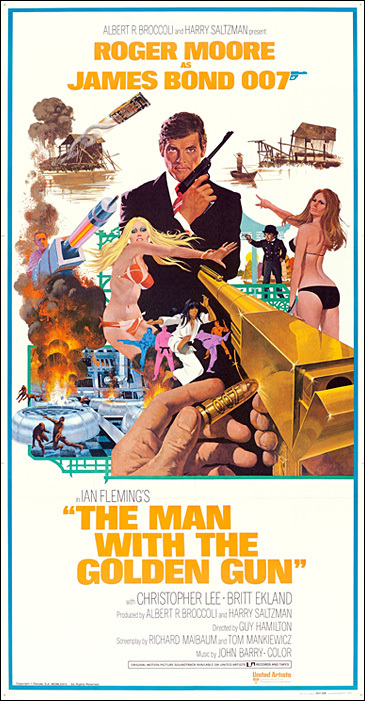 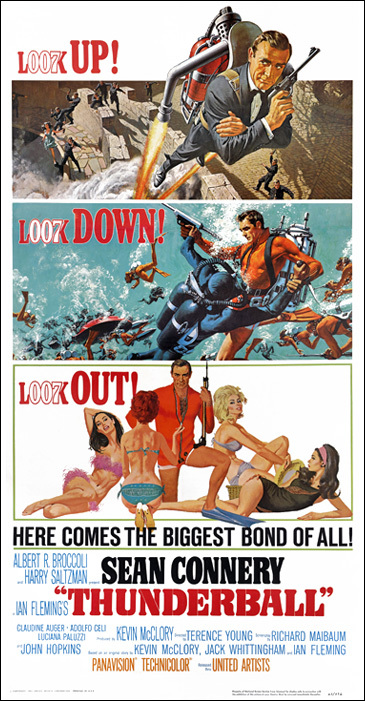 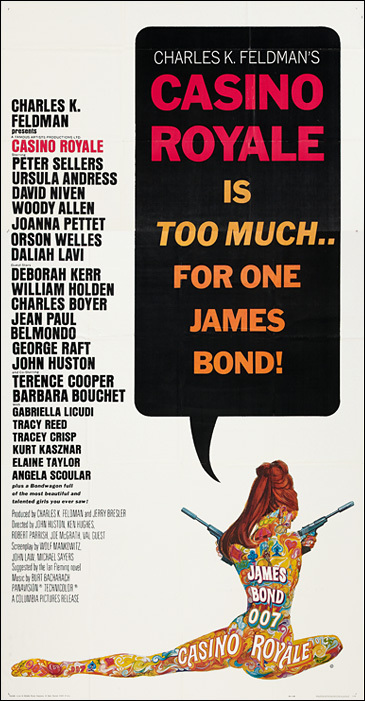 Almost every official general release or re-release of the James Bond films in the US from from 1963 to 1974 had a 3-Sheet poster (41" x 81") created for in-house cinema displays and advertising hoardings across the country. 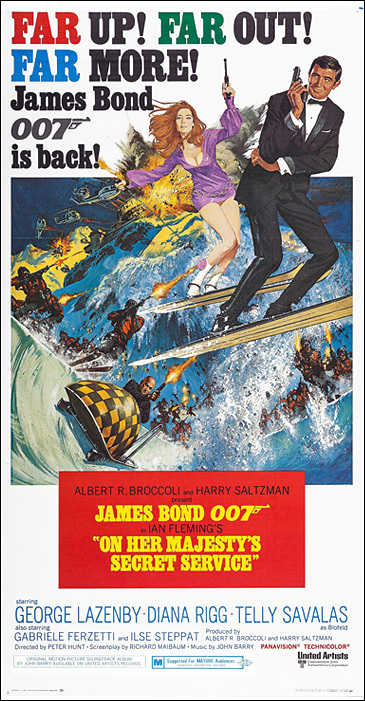 These colourful and highly stylised posters are now collectors items and command high prices when sold at auction. 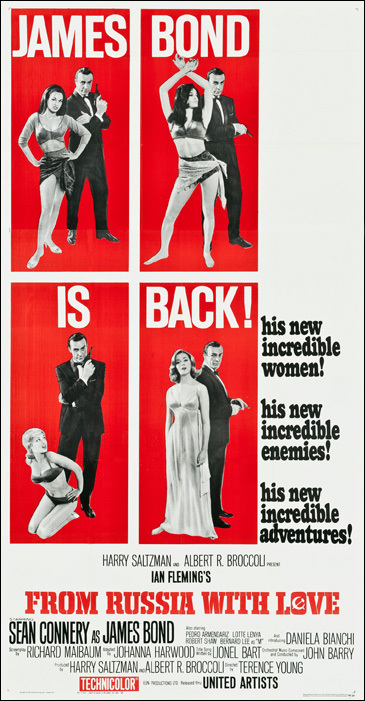 Three times the size of a 1-sheet, these posters were usually printed in at least two sections and later assembled for subsequent pasting onto small billboards during the release of the film. 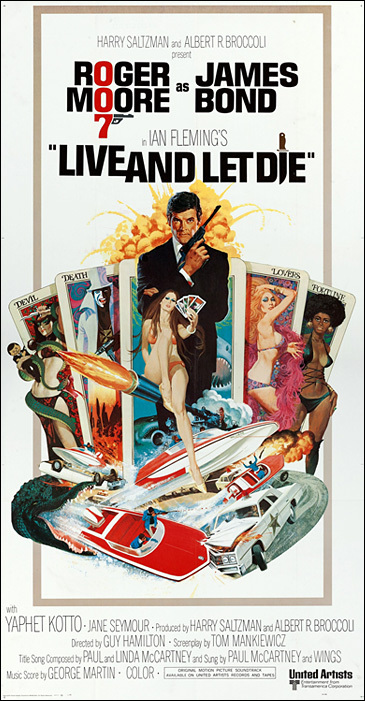 In the early 1980's generic international 3-Sheet posters were created which were therefore not specific to any territory. 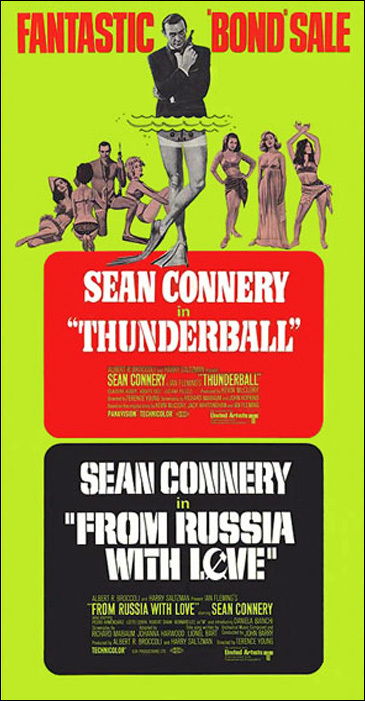 With the rise of the multi-screen cinema in the mid 1980's, this large size poster was discontinued as theatres needed more space to promote the growing number of films on offer.